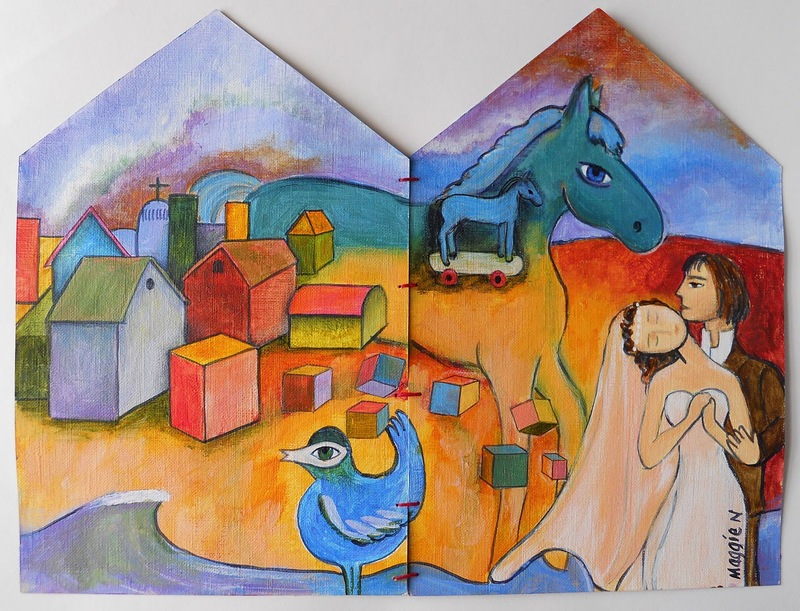 Stephanie's chosen artist for her journal is Marc Chagall. and I couldn't begin to mimic his style! that appear over and over in his work. Brides and grooms. Horses. Birds. Music. Flying. Villages. His native village of Vitebsk appears in so many of his paintings. As does his wife Bella. “Her silence is mine, her eyes mine. Stephanie's pages are shaped like houses! I sewed them together with red thread. The cover is a collaboration among the first four artists. My part is the flying horse with an umbrella. 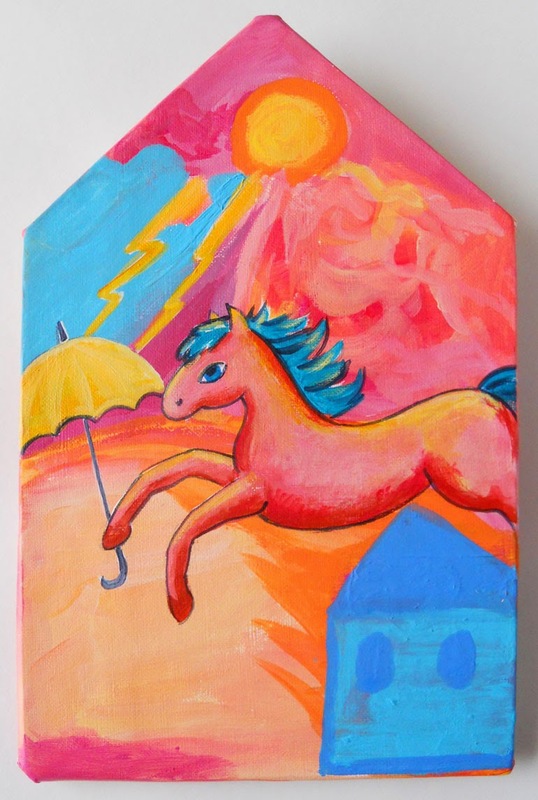 I have no idea how a horse holds an umbrella. Chagall was referred to as "the quintessential Jewish artist of the twentieth century"
(though Chagall saw his work as 'not the dream of one people but of all humanity'). 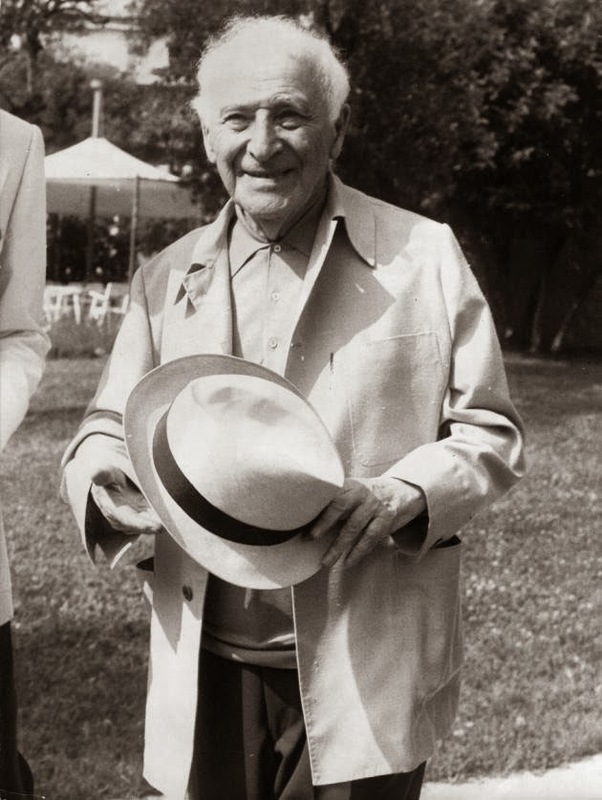 Marc Chagall died in 1985, at nearly 98 years old. Love Marc Chagall. Your work is fantastic and your art tells a story. I truly love these pages and how they will flow with the rest of the book. WOW! Pages sewn together...Now wasn't that FUN to work in? I vote YES YES YES! Your cover contribution with the horse and umbrella...Bravo! Gorgeous-ness! I can't believe these are for me!!! I love everything about them, and I adore that quote you found about his wife! how romantic and poetic these little paintings are Maggie! What a wonderful mix of Chagall & Maggie!! 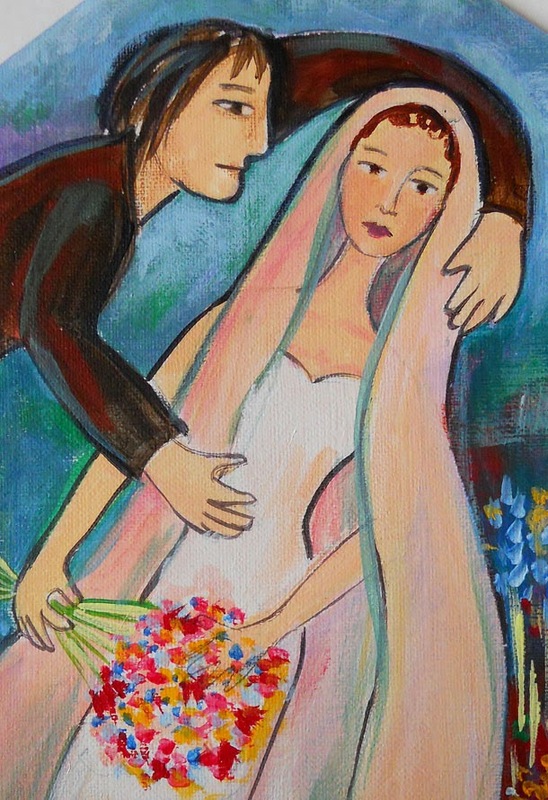 I adore your painting style Maggie & Chagall is an artist I admire (although know little about - yet!). The fusion of you both is fantastical and imagination firing beauty. As always I'm in love with your art!! 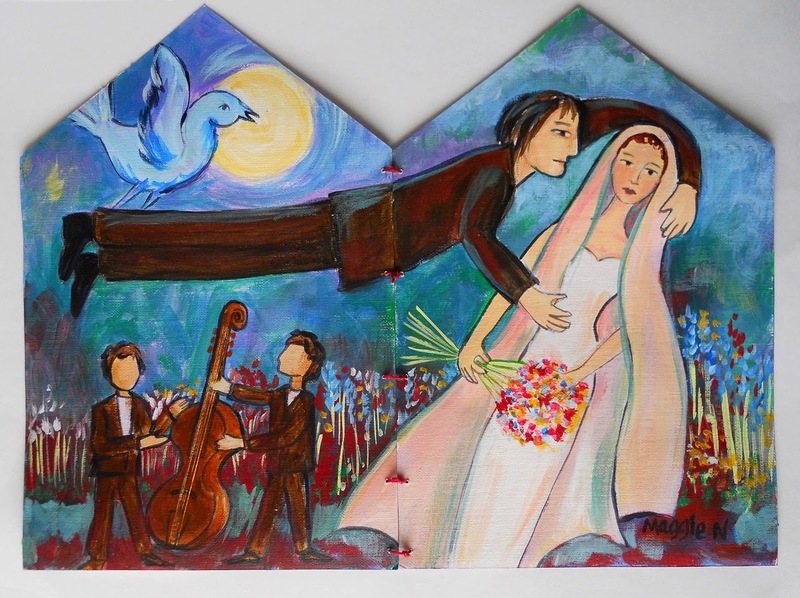 I think they are very Marc Chagall - you can see his influence straight away so you did a wonderful job there. I love the childlike quality to his work - but when you did deeper you realise it is anything but. 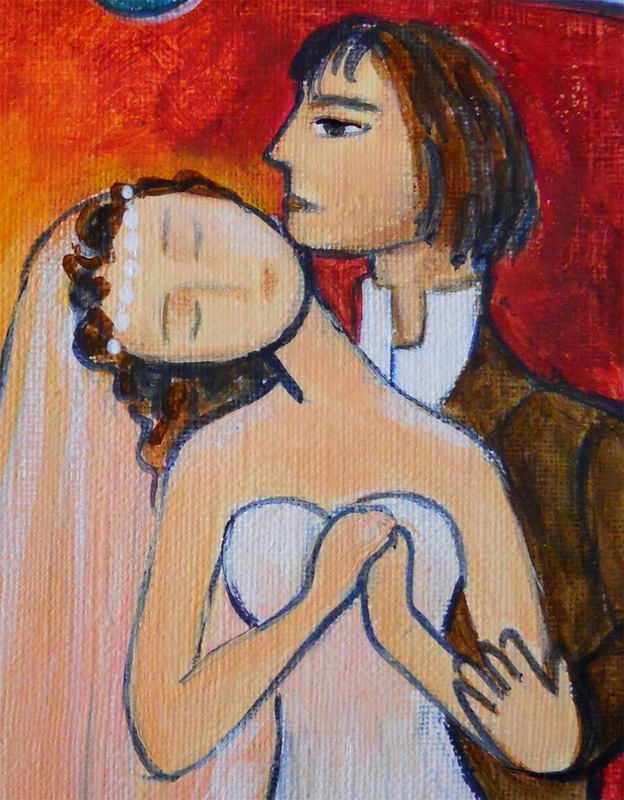 I love the wedding couple you painted - so happy.